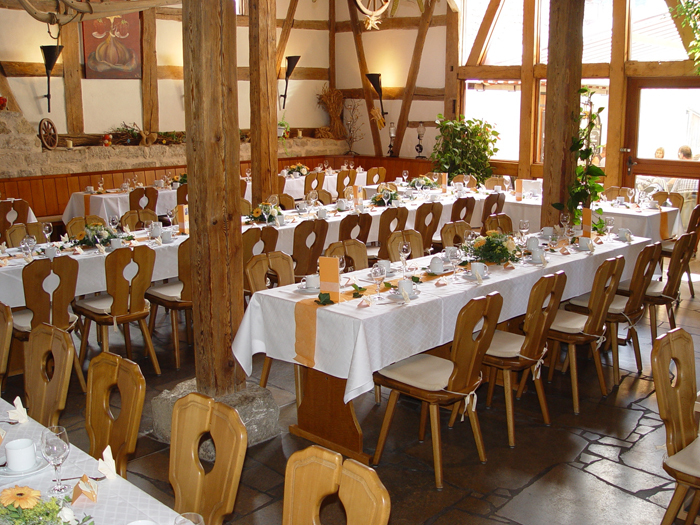 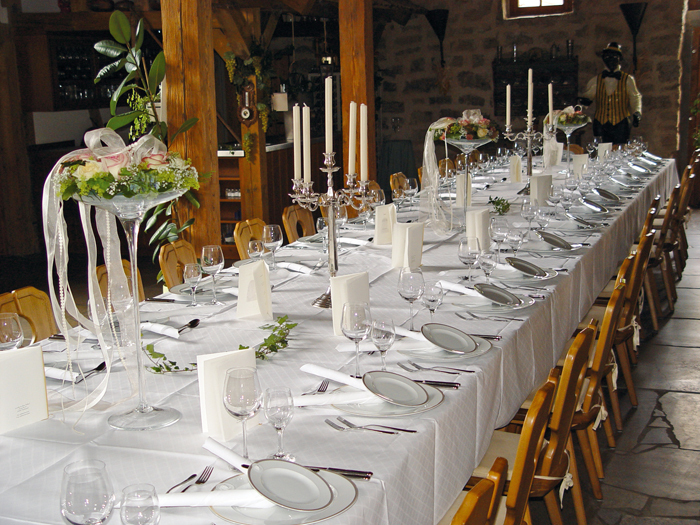 Once upon the time the barn was used to store hay, straw and all the harvested goods, now you can enjoy several franconian and austrian dishes, beer from the nearby brewery and, of course, one or more glasses of our own wine. 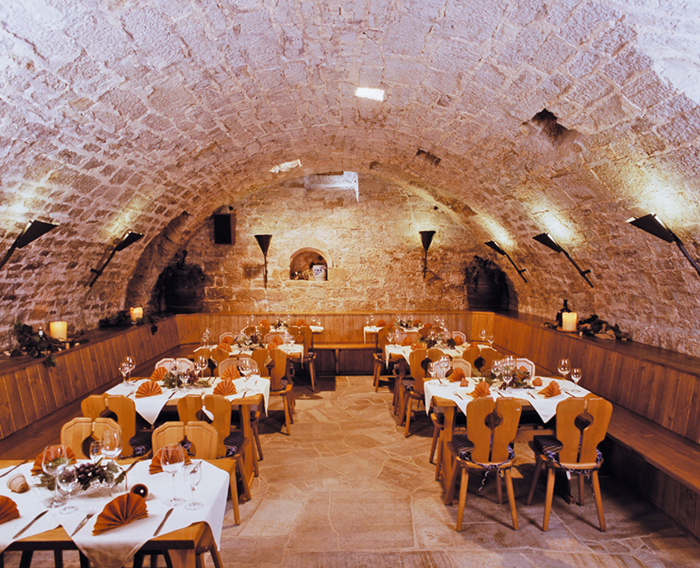 The vault cellar was built in 1603. 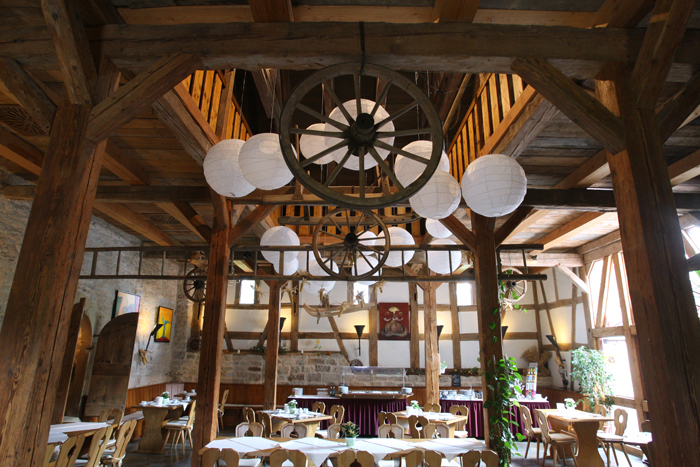 Today about 40 people can enjoy their food and drinks there. 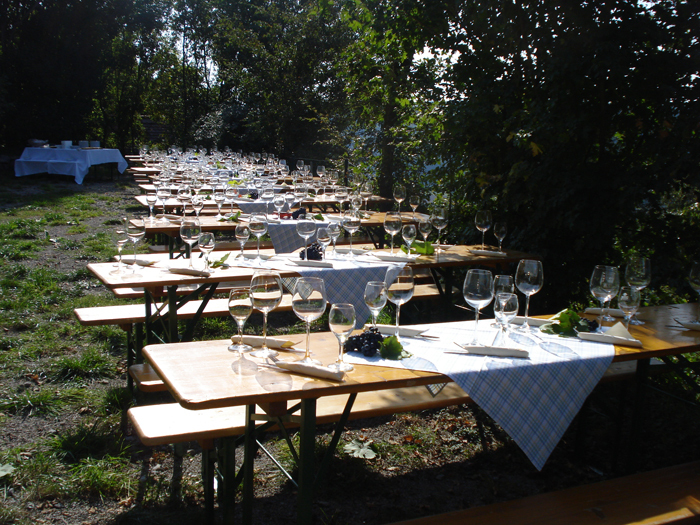 We especially recommend our homemade „Bratwurst“ along with a wine tasting, presented by a competent winemaker or – even better – the famous wine-princess.